September 13, 2014 September 13, 2014 by Made By Maggie B. Hey everyone we have made it to Orvieto, Italy. Once we got here we discovered it is pronounced Or-vi-a-t-o. I am going to post my journal entries for the past two days. Home, Mom, Audrey, Sadie and I finished packing. Said bye to the Longoria’s and headed to the airport. There we checked-in, met Kaye and said goodbye to Dad. We flew to Charlotte for our connect flight to Rome. Kaye left us to go hang out in Charlotte. While we ate lunch, I went to class, we got our nails done and ate dinner. Kaye came back in time for our flight. But our flight was delayed by an hour. At first we thought it was because of the rain but it was actually because of mechanical problems. We ate dinner on the plane and slept! 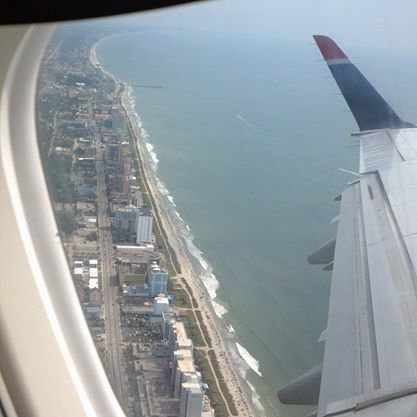 View from the plane of Myrtle Beach! Our flight landed and we rented a driver to take us to Orvieto. 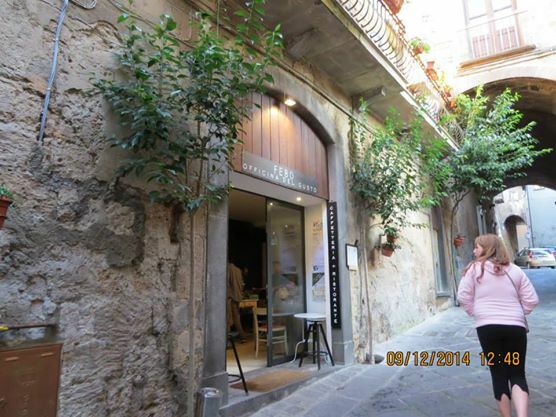 Once in Orvieto we met Nan and settled in to the apartment we rented for the week. Then we went and got some gelato! Then Nan left us and we went to a grocery store where we found Poppy! From there we went to the Blue Bar, which serves caffe during the day. There we connected to the internet, at which point we went back to the apartment. Then we went to the Convent where Nan and Poppy had been staying. We looked around there, then headed to dinner. We ate at Febo. We went back to the apartment and slept. Febo, where we ate dinner. 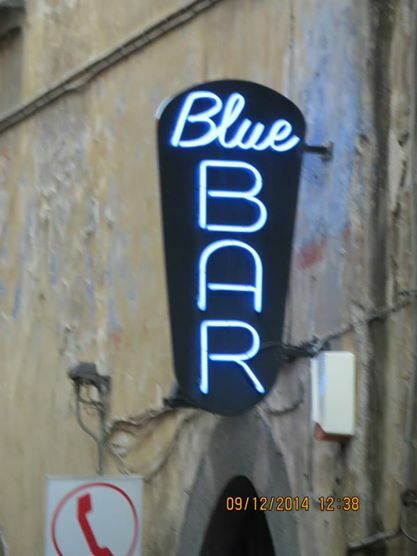 Blue Bar, where we hang and drink caffe. Looks like fun so far! What’s your apartment like? any culture shock? Learning Italian? Can’t wait to hear more! Our apartment is lovely. It is layed out differently than apartments in the states. 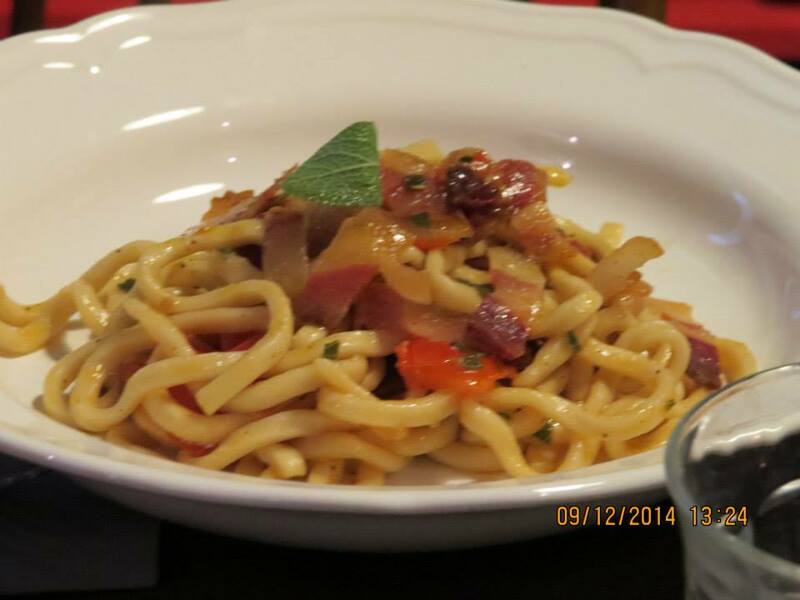 We’re catching on to some Italian. I’ll try to post pictures at the apartment later! How exciting! I’m so jealous. Give a hug to your mom for me and eat lots of yummy food for me too. Can’t wait to read more about your adventures! Thanks Sarah! ❤ I'd love to see you when I get back!